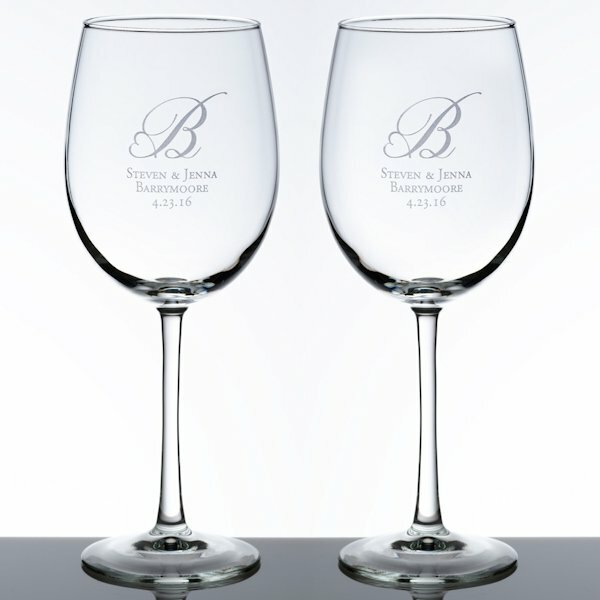 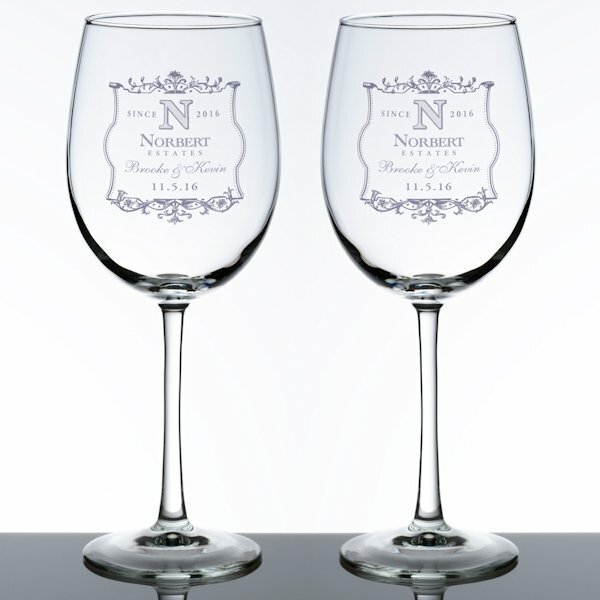 The ultimate personalized wedding wine glass set! 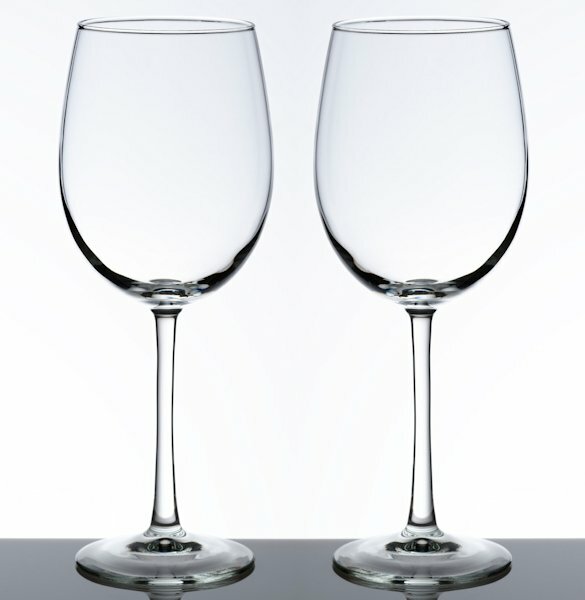 This set of 2 wine classis glasses hold a generous 19 ounces and stand 9 inches tall. 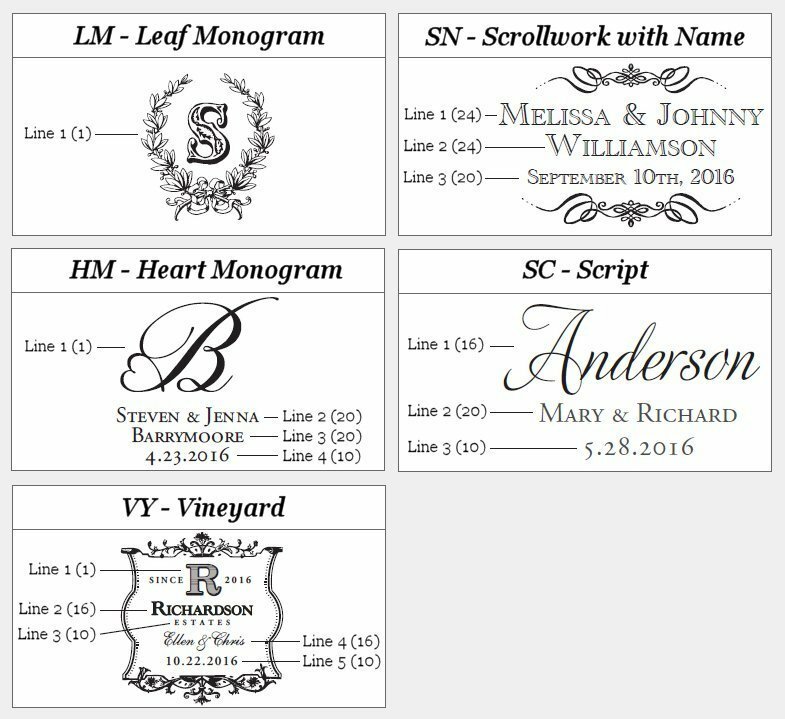 For an additional charge, we will laser engrave them with your choice of five unique designs that feature things like your monogram, last name initial, first names, wedding date and more. 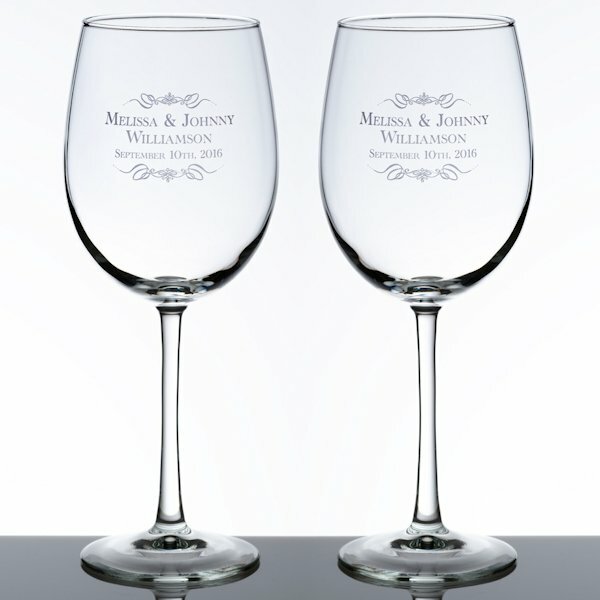 Simply choose the design you want and the custom text at checkout. 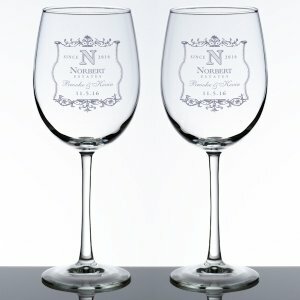 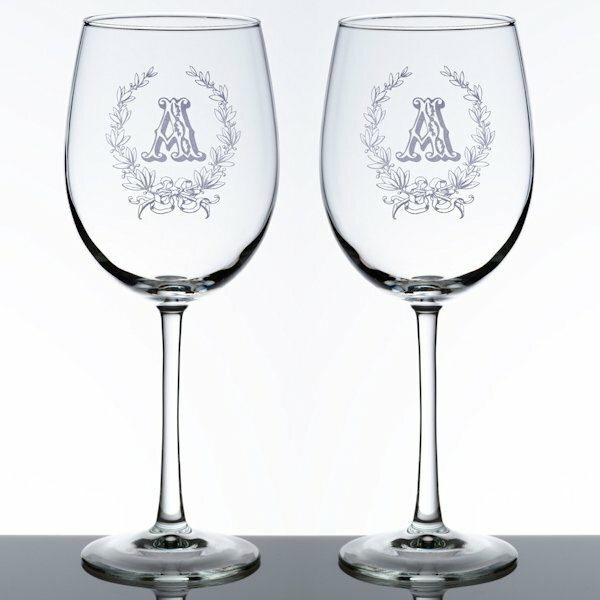 Sold in sets of 2 (both glasses are personalized the same). 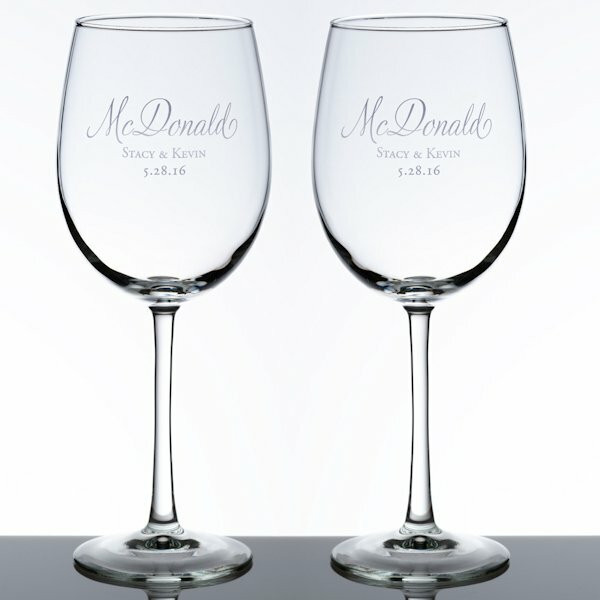 You can also buy the glasses blank to use for any event.